$420 includes your retreat, all of your meals, use of the facilities, and simple accommodations. Health and healing professionals who demonstrate empathy provide better care with higher patient and client satisfaction. However, empathic burnout and compassion fatigue are a constant presence in the working lives of health and healing professionals and caregivers. The most appropriate approach, then, is not to expect more empathy from caregivers or health and healing professionals. The best approach is to make sure that their empathy is intentional, self-enriching, sustainable, and most importantly, healthy. Join Karla McLaren, M.Ed., author of The Art of Empathy, and Tino Plank, MSN, RN — who brings over three decades of clinical health leadership and process-improvement experience — for their groundbreaking Healthy Empathy® program. In this weekend retreat, you’ll explore the Six Essential Aspects of Empathy model that will help you make intentional decisions about how, when, and where to apply empathy in each situation. You’ll also learn self-awareness skills, simple self-care practices, and communication techniques to improve your quality of care and your quality of life. Strategies to help you create and sustain healthy empathy. Cutting edge emotional skills and awareness to help you engage your empathy skillfully in challenging situations. Specific, step-by-step understanding of Karla McLaren’s Six Essential Aspects of Empathy model. Focused strategies to engage or disengage specific aspects of empathy, depending on your situation and requirements. A clear understanding of emotion work and its effect on empathy, communication, productivity, burnout, and wellness. Communication techniques to help your empathy become intentional, sustainable, and healthy. This Healthy Empathy® retreat is focused on health and healing professionals, including medical, counseling, psychiatry, social work, massage therapy, and patient service professionals. Caregivers for family and friends are also welcome! Caregivers may be doing as much or more empathy work as professionals, yet have little to no access to the support that professionals may receive. We invite caregivers to join us for this education and self-care retreat. Tuition: $420 includes your retreat, all of your meals, use of the hot springs, pool, and facilities, and simple accommodations. For other accommodation options, see this lodging rate list at Esalen. Retreat Schedule: You’ll arrive at Esalen on Friday afternoon, check into your room, and take some time to explore or rest. After dinner, there will be a Friday evening introductory session, with morning and afternoon sessions on Saturday, plus a final morning session on Sunday. This relaxed schedule will give you plenty of time for rest, movement, relaxation, nature walks, and/or Esalen’s famous massage and hot springs. Esalen is a wonderful institute and retreat center famous for its beautiful grounds overlooking the Pacific Ocean — and for the form of massage that shares its name. Each day of your stay, you’ll spend time in the Healthy Empathy workshop, plus you’ll have options for movement, learning, dance, time in the Art Barn, time in the hot springs overlooking the ocean, or massage and bodywork — it’s a relaxed, luxurious, and comfortable way to learn. Esalen is also known for its fresh, local, healthy meals. If you’d like to try a healthier lifestyle or get your self-care back on track, Esalen is an excellent destination. It’s really a 3-for-1; you get a relaxing vacation, a delicious healthy retreat, and an Healthy Empathy workshop all in one! We hope to see you there! 9.75 hours of CE Credits are available for $40 through Cassidy Strategic to Nurses, Social Workers, Psychologists, Counselors, MFTs, Chemical Dependency Counselors, and Educators. To purchase these CE credits please visit Cassidy Strategic’s Healthy Empathy® page. CE credit is also available for Massage Therapists through Esalen: Please contact ce@esalen.org for details. Karla’s groundbreaking Six Essential Aspects of Empathy model is the first to make all of the processes in empathy easily understandable, accessible, and attainable. This fully realized model teaches people how to access, develop, and manage their empathy intentionally. 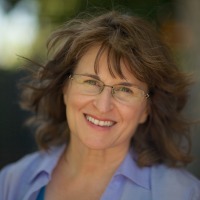 Karla is the author of The Art of Empathy: A Complete Guide to Life’s Most Essential Skill (2013), The Language of Emotions: What Your Feelings are Trying to Tell You (2010), and the co-author of Escaping Utopia (2018). She is also a Certified Human Resources Administrator and a Certified Career Testing and Guidance Facilitator. Tino Plank has advanced degrees in nursing and multicultural spirituality, as well as an extensive background in program development and process improvement. His varied and dynamic experience helps him identify the empathy-work requirements in care environments, and develop sound practices to support healthy empathy for everyone. For over twenty years, Tino has worked with Karla McLaren to develop the Dynamic Emotional Integration® process. 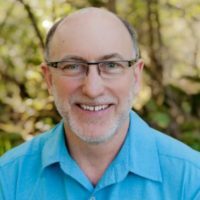 He has also been an instructor in classrooms and on-line environments for over ten years, and he is the co-creator of this Healthy Empathy® training program for health and healing professionals. We invite you to join us in August for this Healthy Empathy® retreat at Esalen!